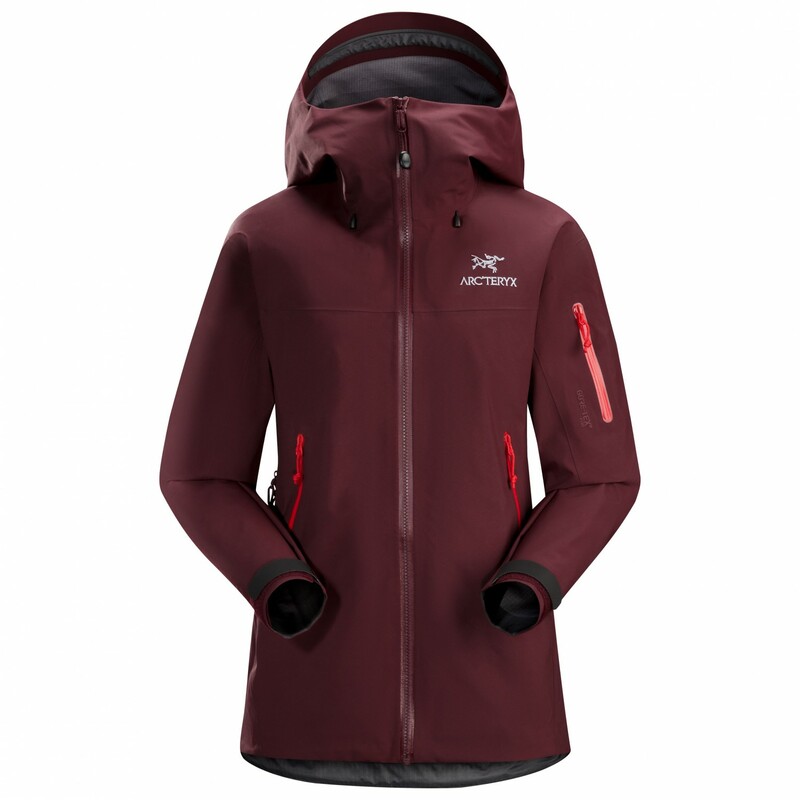 Aim high with the Women's Beta SV Hardshell Jacket by Arc'teryx! 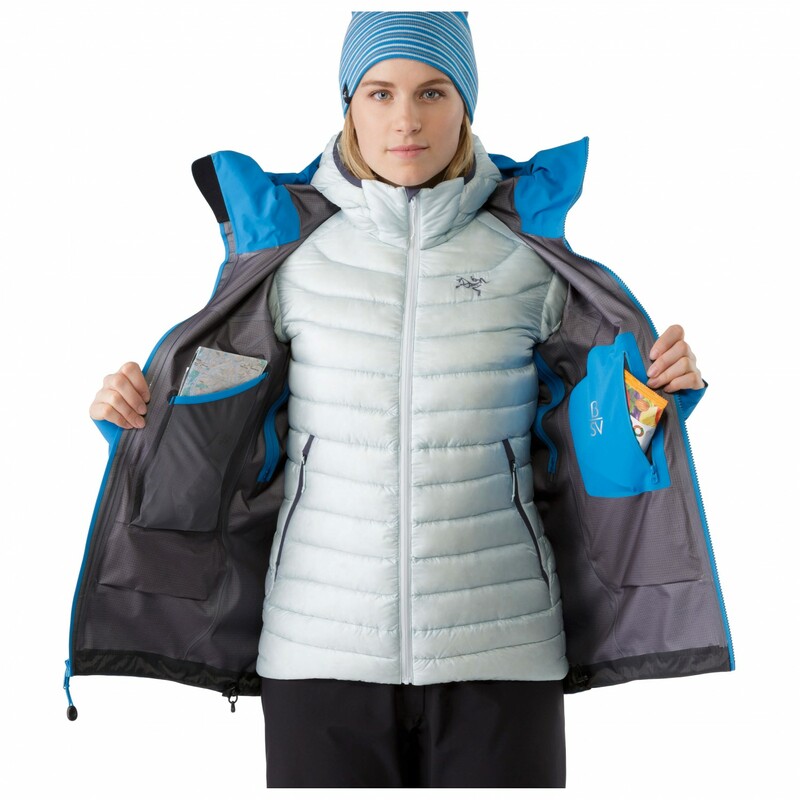 This hardshell jacket deals just as easily with rough blizzard as it does with carrying heavy trekking backpacks or coming into contact with rocks and ice when doing mix climbing. It is simply a workhorse for the ambitious, useful in mountain sports and whenever robustness and weather protection are needed. 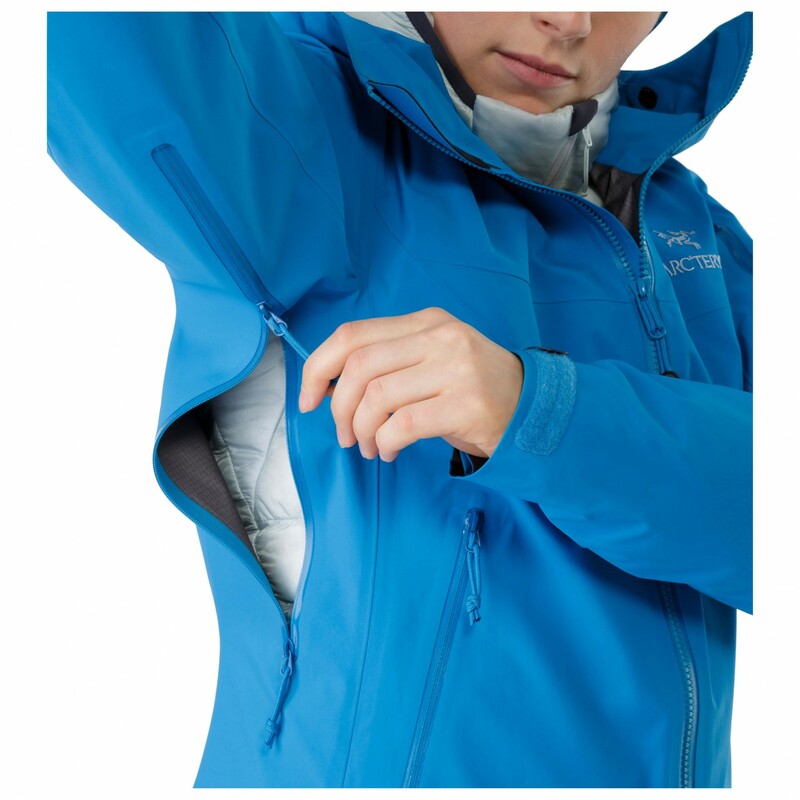 Despite the long-lasting and durable design, the jacket is lightweight and can easily be rolled up into the hood. 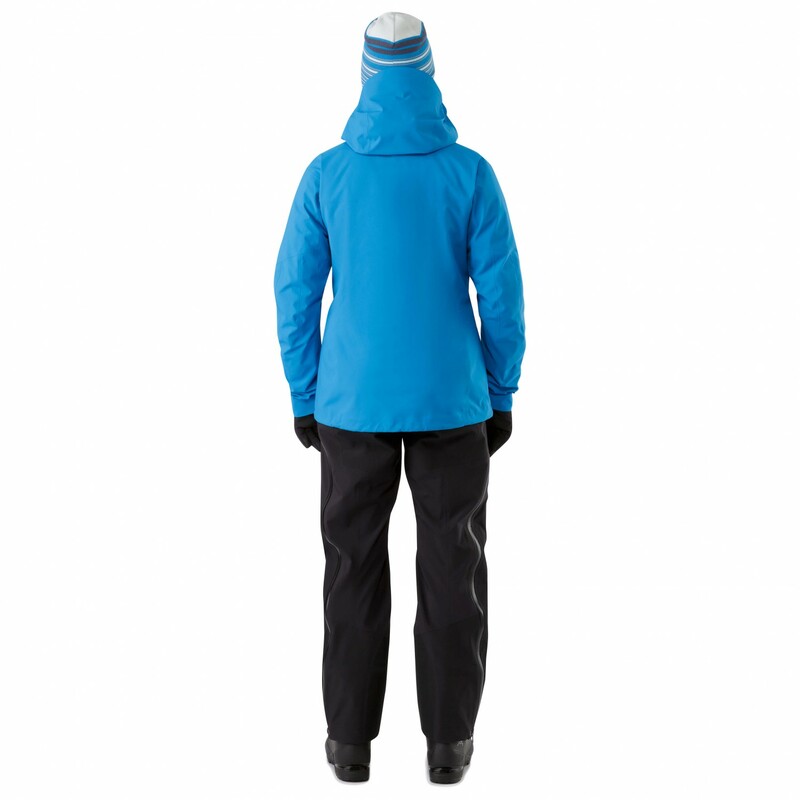 The features of this three-coated hardshell are specially designed for sportswomen. 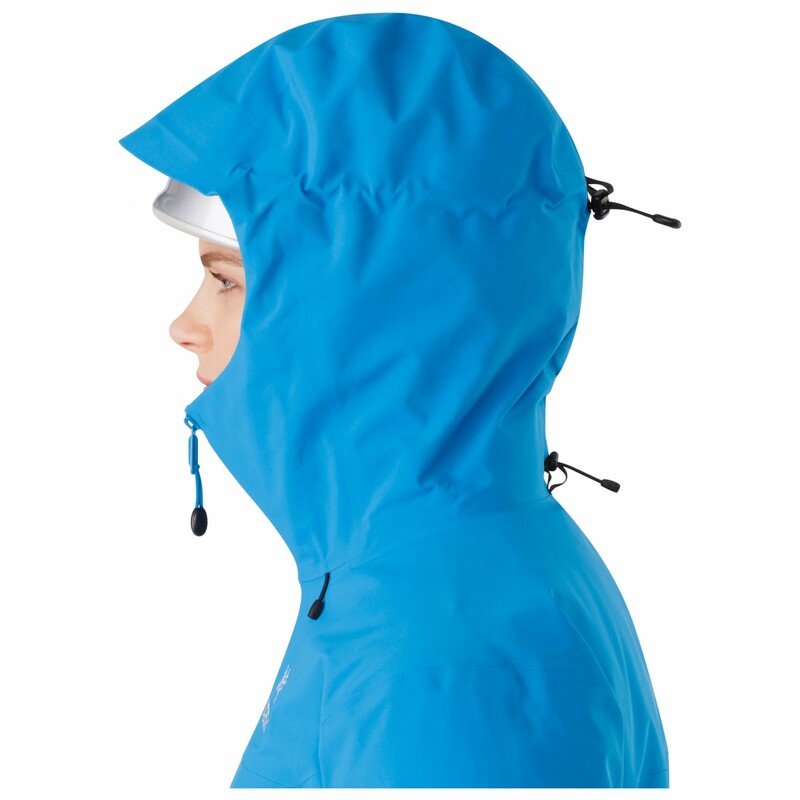 Especially in cold weather and rain and when carrying a backpack, a good rain jacket needs to be easily usable and reliable. 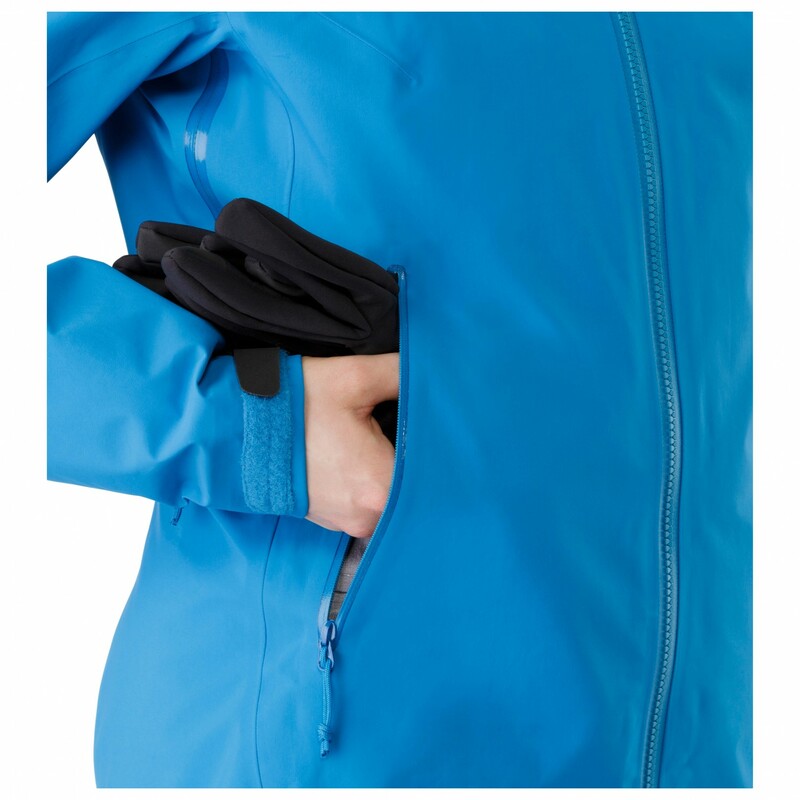 The Beta SV thus has easily reachable pockets where you can stow away your gloves or other necessities, but you could also use them to warm your cold hands. 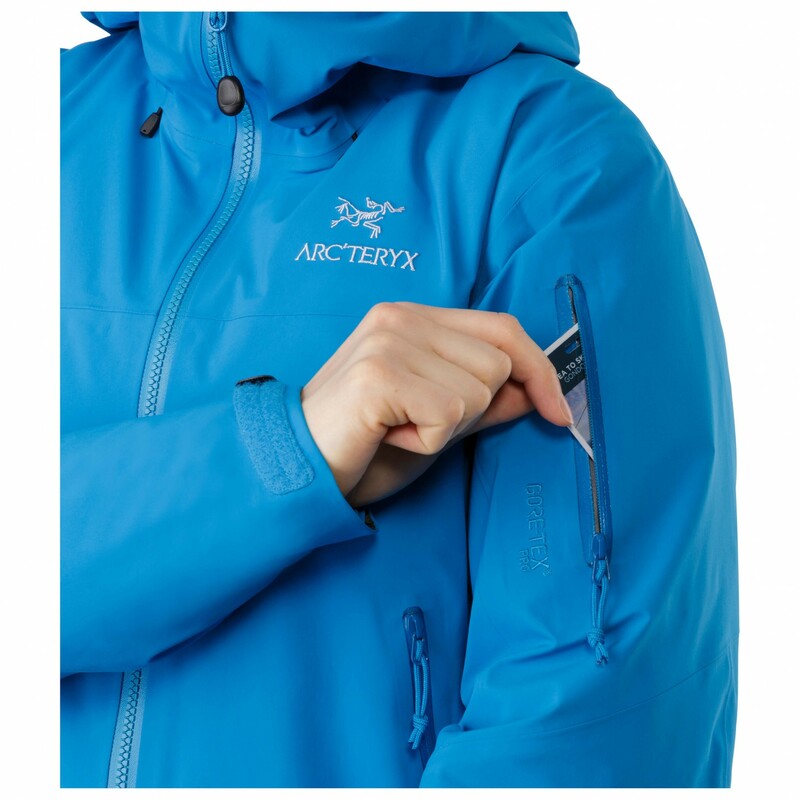 A practical pocket on the upper arm holds the ski-lift ticket. 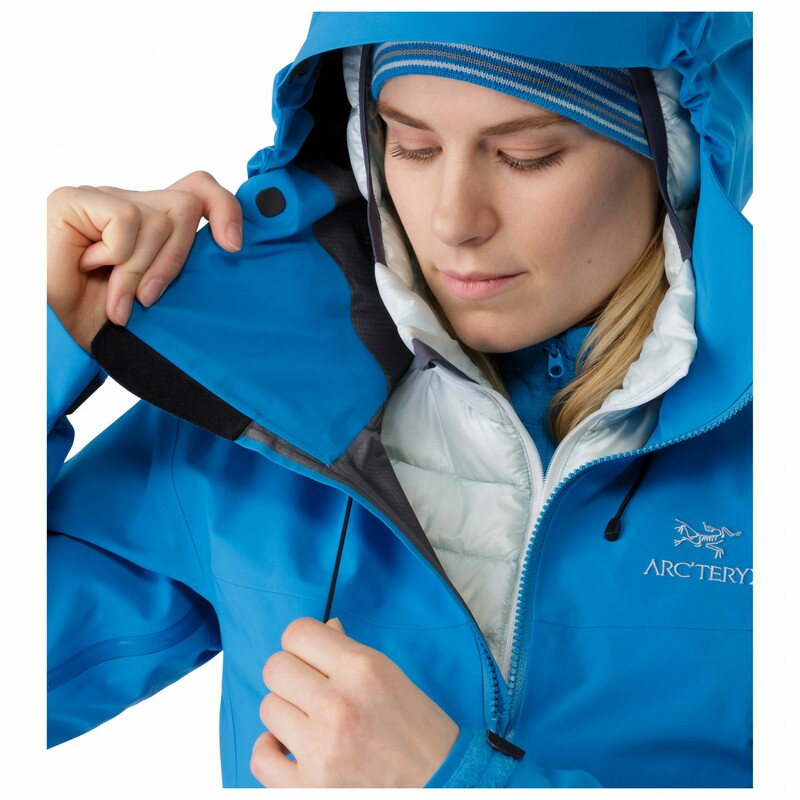 Because of the long zip pulls, all zips can be handled with gloves and are highly water-repellent. 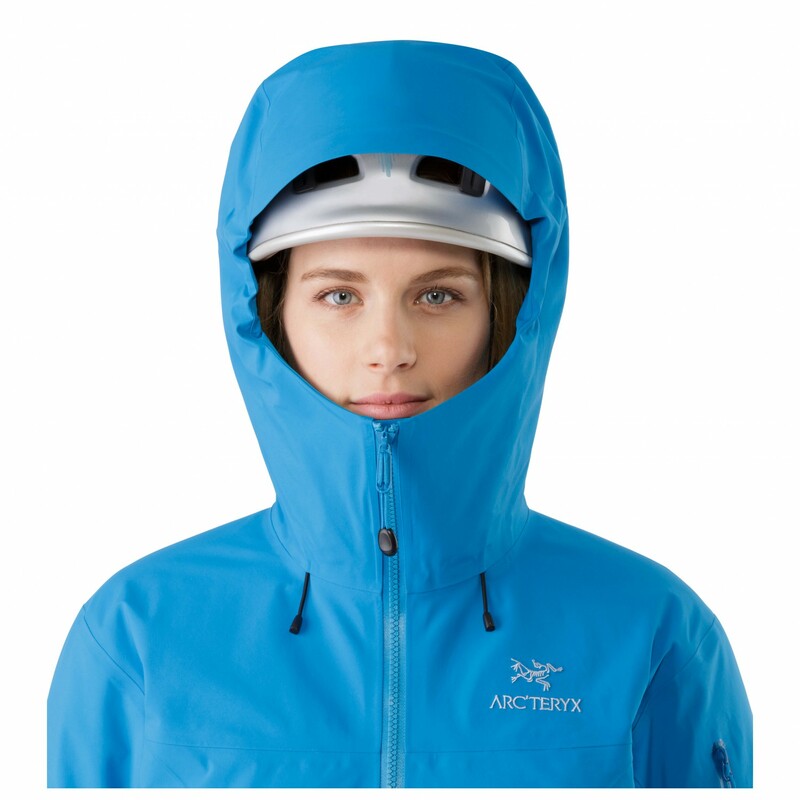 The hood can also be used with only one hand and gloves. 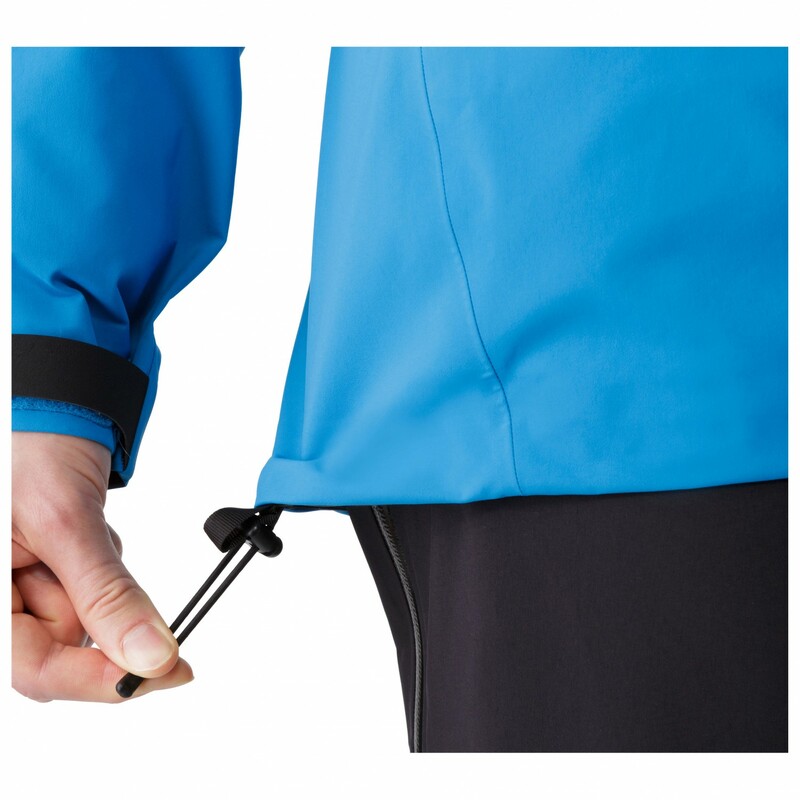 The specially developed, integrated cord stoppers are incorporated into the bottom hem and have the purpose of a hem lock. This means, they lock the jacket's hem underneath the climbing harness, to prevent the jacket from sliding up when you do an upward arm motion. Additional specifications of the jacket are a longer back, lasered Velcros on the sleeve hem and a very high collar for perfect protection against cold wind. 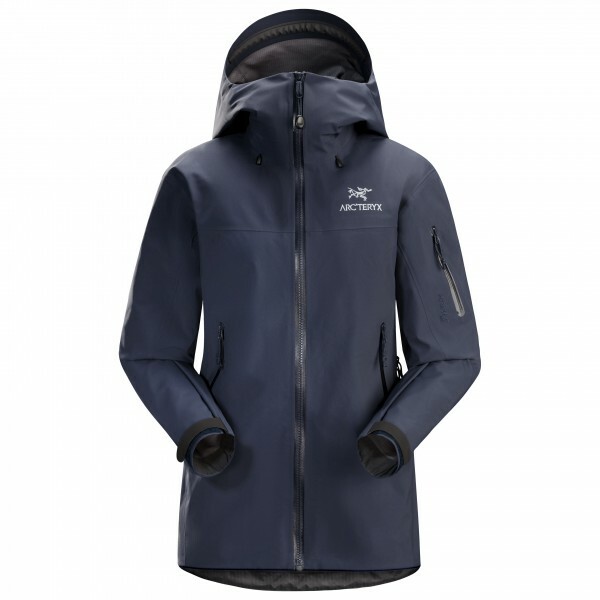 The Beta SV Women's Jacket by Arc'teryx has a tailored, preformed fit. 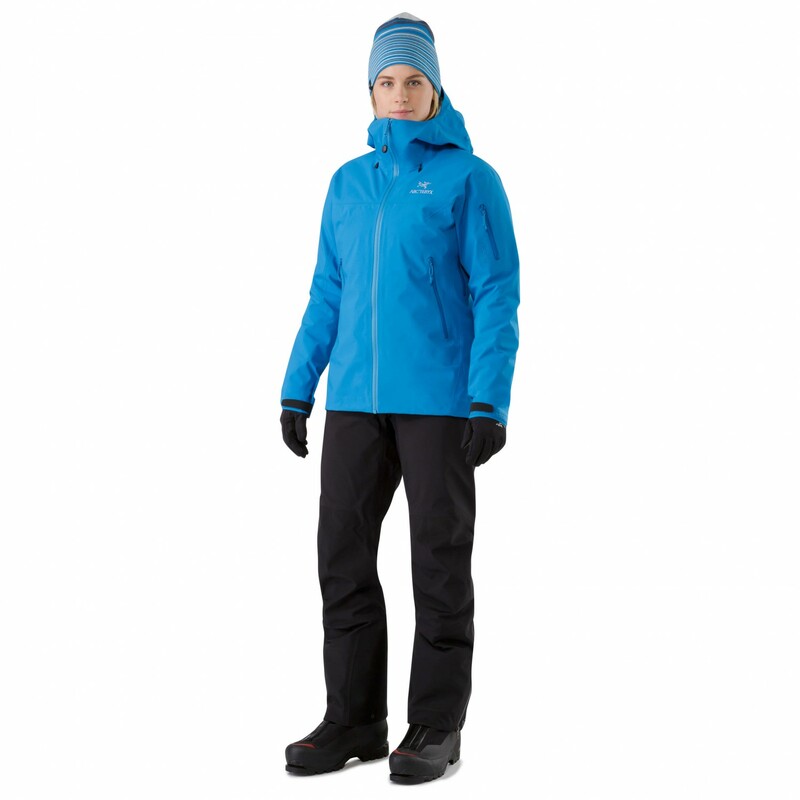 The width is designed in such a way, that you are still able to wear a thin fleece and quilted jacket underneath. 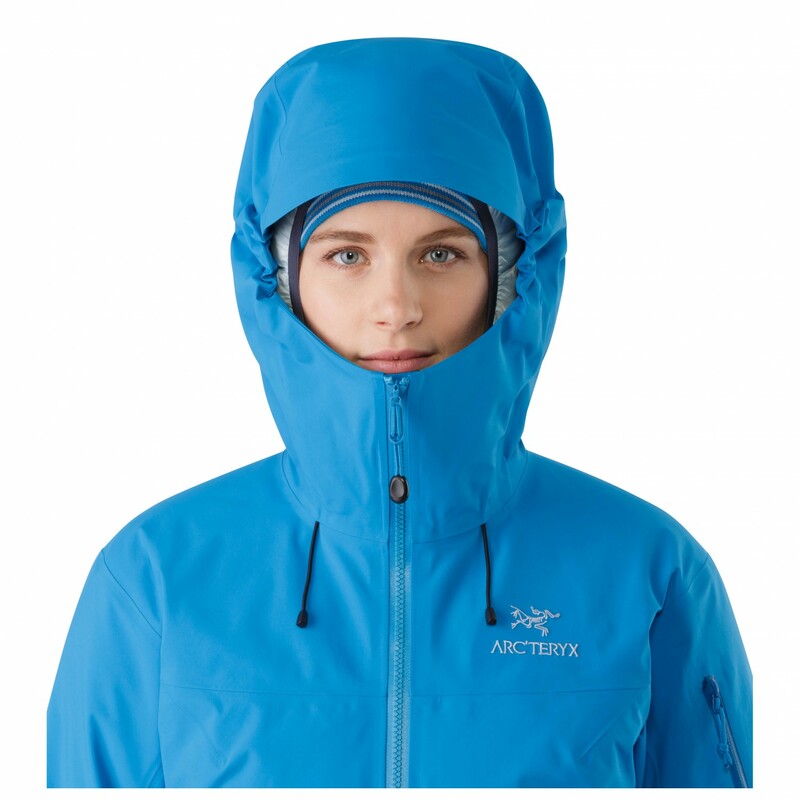 Now you are able to venture outdoors carefree for many years in all weather with the technical and reliable Beta SV!